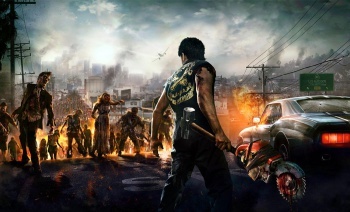 Dead Rising 3 executive producer Josh Bridge also talks about the game's smartphone intergration. "The past installments [of Dead rising] were relatively regimented and you were kind of forced along at a particular rate of time. Now we've unlocked that to really let you explore this world," Dead Rising 3 executive producer Josh Bridge told the L.A. Times in a panel ahead of comicon. "We went deeper with more stuff to interact with, more areas to explore, it just feels like a much richer world as a result." Dead Rising 1 and 2 featured "timeline" based missions, which had to be completed within a set amount of in-game hours, or you would fail. The first game was particularly brutal as it only had a single save slot, meaning you could save yourself into a corner if you weren't careful. I think it really pushed the "survival" aspect of the game's survival horror feel, but as many players greatly disliked the feature, it's good to see Capcom responding to customer feedback. Bridge, at the insistence of his co-panelist Max Brooks, author of World War Z, also spilled the beans on the game's smartphone integration. "He's missing the best part!" exclaimed Brooks, "He's missing the reason he hooked me, which is, there's something called the ZDC in the world of the game. The ZDC will send you updates and information on your smartphone that you can hook up to the console. That's amazing!" "It's as though the game kind of comes out of the screen and you're literally holding it in your hand. You'll get calls from this character, text messages and just additional game play from this device, which is kind of cool," added Bridge. Dead Rising 3 is an Xbox One exclusive, and it will be available alongside the console's launch this November.